Annual joint US-South Korea exercises are non-negotiable and will continue as planned amid threats from the North, a top US military official said. It comes after Beijing called for "dialogue and consultations," adding that military means "cannot become an option." The Ulchi-Freedom Guardian exercises, scheduled to begin Monday, are "not currently on the table as part of the negotiation at any level," said Joseph Dunford, chairman of the US Joint Chiefs of Staff, as quoted by Reuters. "My advice to our leadership is that we not dial back our exercises. The exercises are very important to maintaining the ability of the alliance to defend itself," Dunford told reporters in Beijing following a meeting with his Chinese counterparts on Thursday. "As long as the threat in North Korea exists, we need to maintain a high state of readiness to respond to that threat," he added. The official's comments come after Fan Changlong, vice chairman of China's Central Military Commission, told Dunford that Beijing believes the only effective way to solve the crisis is through talks. "China believes that dialogue and consultations are the only effective avenue to resolve the peninsula issue, and that military means cannot become an option," Fan said, as quoted by the Chinese Defense Ministry. Dunford agreed on Thursday that it would be "absolutely horrific if there would be a military solution to this problem, there's no question about it," AP reported. However, he said that "what's unimaginable is allowing KJU (North Korean leader Kim Jong-un) to develop ballistic missiles with a nuclear warhead that can threaten the United States and continue to threaten the region." Dunford also told reporters that US President Donald Trump has "told us to develop credible viable military options and that's exactly what we're doing." The annual joint drills, which involve tens of thousands of US and South Korean troops, have been deemed a preparation for war by North Korea. 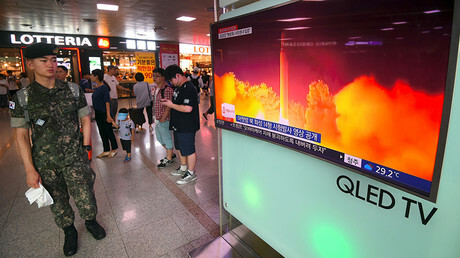 Pyongyang has previously fired missiles and taken other steps in response to the annual exercises. 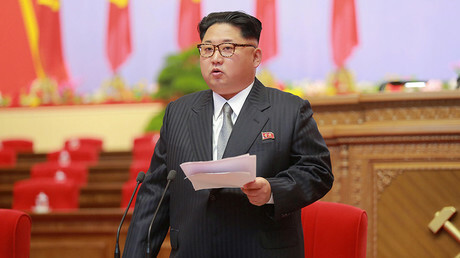 "The United States, which was the first to bring numerous strategic nuclear equipment near us, should first make the right decision and show through actions if they wish to ease tensions on the Korean Peninsula and prevent a dangerous military clash," North Korean leader Kim said earlier this week, as cited by KCNA state media. China has called for both the US and North Korea to "hit the brakes" in their war of words, and Beijing and Russia developed a "double freezing" initiative last month which would cease any missile launches and nuclear tests in Pyongyang, as well as large-scale military exercises by Washington and Seoul. That plan was supported by Germany. South Korean President Moon Jae-in has vowed there will not be another war on the Korean Peninsula, and has stressed the need to focus on diplomatic efforts. "The people worked together to rebuild the country from the Korean War, and we cannot lose everything again because of a war," Moon said during a Thursday news conference. "I can confidently say there will not be a war again on the Korean Peninsula." However, Moon previously stated that Seoul will continue to work with Washington to counter security threats. Dunford's reassurance that the joint drills will go ahead as planned comes after a similar statement from South Korean officials last week. 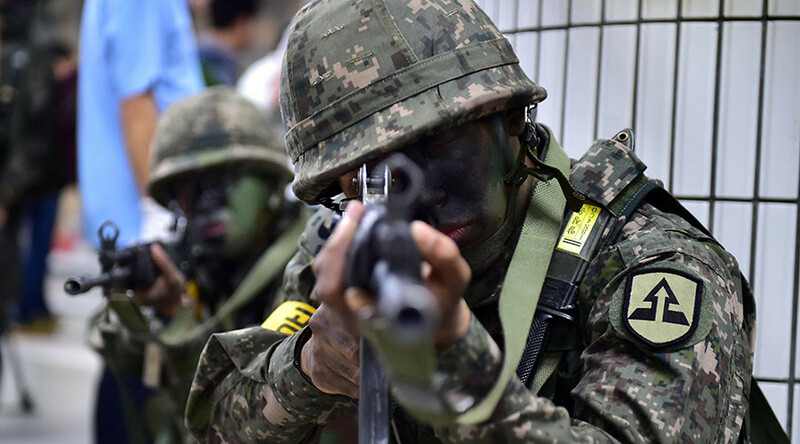 Some 40,000 American and South Korean troops will participate in the drills on land, air and sea, according to the US State Department, along with civilian South Korean government personnel who train their civil defense responses. The exercises will take place from August 21 to 31.